Dunedin is a quaint village-like city in Pinellas County with around 36,000 residents. Dunedin is an area with a small town feel, yet surprisingly there is so much to do here. Any community is only a short bike, walk or drive from the several beaches that Dunedin is home to including Dunedin Causeway, Honeymoon Island, and Caladesi Island State Park. The famous Pinellas Trail bisects through downtown Dunedin and offers 39 miles of beautiful picturesque scenery. In my personal opinion you can't go wrong purchasing Dunedin real estate! 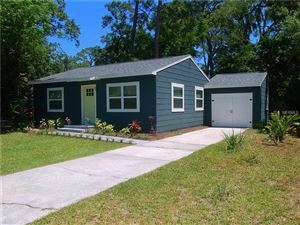 Dunedin has a mixture of new and established homes that are located within subdivisions or in non-deed restricted area. There are many schools and other local amenities right within Dunedin. There are four public elementary schools (Curtis Fundamental, Dunedin, Garrison-Jones, San Jose), one public middle school (Dunedin Highland), and one public high school (Dunedin High School). Look below for the Most Popular Dunedin Homes for Sale! So if you're looking for a Top Agent in Dunedin to help you buy or sell real estate then Profusion Property Group can help you! As the best Realtor in Dunedin, we're here to assist you make the right decision! Search all Dunedin Homes For Sale for free! Josh Parker & the Profusion Property Group team are your Top Agents in Dunedin, FL to help you Buy or Sell Real Estate. As the top Dunedin Real Estate Agents for you, we look forward to helping you!